Milwaukee, WI – January 23rd, 2018 – Andrew Toyota has been awarded a DealerRater 2018 Consumer Satisfaction Award, an annual recognition given to auto dealerships that deliver outstanding customer service as rated by online consumer reviews. DealerRater, the world’s leading car dealer review website, created the Consumer Satisfaction Award program to let online car shoppers instantly spot dealers that provide high-quality customer service. This is the 4th Conservative year that Andrew Toyota has received this honor. Andrew Toyota has achieved consistently high scores on the DealerRater website, placing it among the top dealerships nationwide. 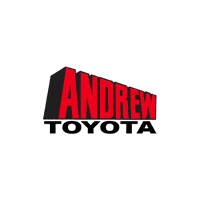 Online shoppers visiting Andrew Toyota’s dealer page will find a “2018 Consumer Satisfaction Award winner” badge on their profile to instantly recognize it as a high quality dealership. To get a great deal, check out Andrew Toyota’s New Vehicle Specials, Used Car Smart Buys, or service coupons.